Princess Anna of Arendelle's Nordic-inspired colorful costume debut long before her appearance in Disney's animated film Frozen. Her costume was seen seen at Halloween and at Disney cosplay events. The popularity of the Arendelle sister costumes is proving once again as with Princess Merida, Angelica from Pirates of the Caribbean and many of the characters from Alice in Wonderland that adults are interested in making versions of these costumes for their own use. 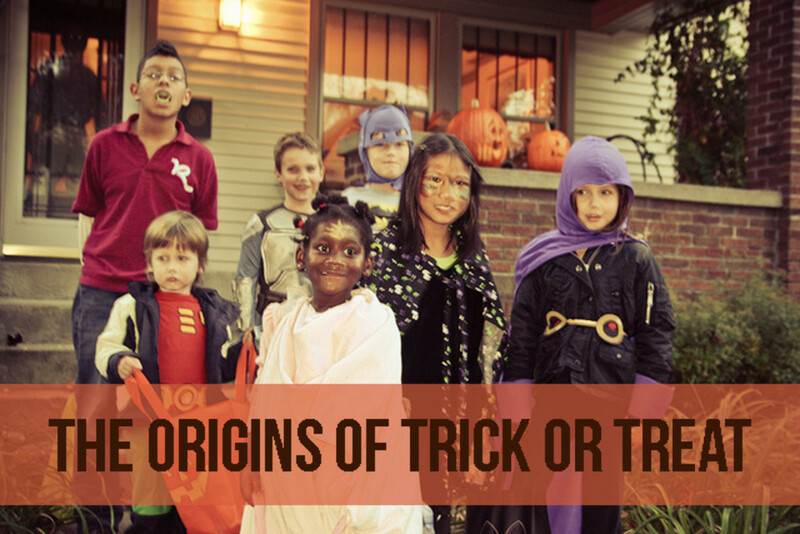 A pre-made costume is available, but only for children and toddlers, so adults and teens are on their own (or get the cosplay versions). 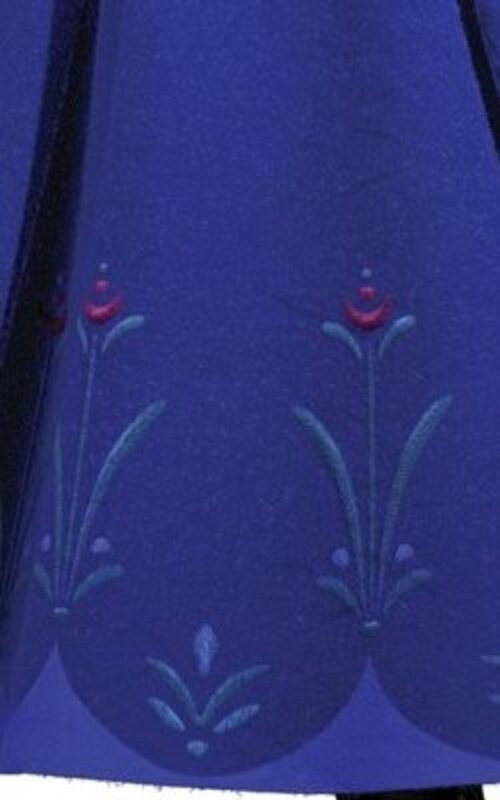 Join me as I take a look at how to making Anna's blue dress, her raspberry colored cape and her long coronation green dress that she wears during Frozen. In looking at the costume, it seems that it was designed more by animators than by seamstresses, with lots of intricate detailing that is challenging to accurately reproduce, like the embroidery detailing and the skirt pattern on Anna's green coronation dress. 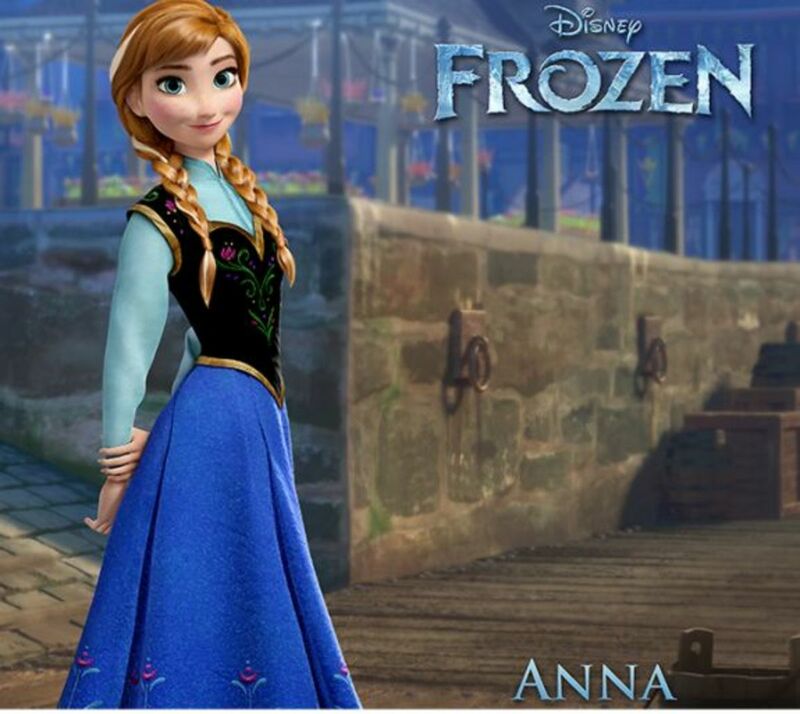 I have included what I could find and figure out from the images about her different outfits along with inspiration from other Anna outfit creators to help you in creating your own Anna Costume. McCall's has a pattern now for both Elsa and Anna's dresses. Look for pattern number MP381 or M7000 at your local fabric store or on eBay. Add your comments if you'd like as to which sister you picked. Which sister are you siding with? In 'Frozen,' Anna, the young heroine, teams up with mountain man Kristoff and his dog-like reindeer Sven and depart on an epic journey. On their adventure they encounter mystical trolls, an amusing snowman named Olaf set against a stunning backdrop in the Kingdom of Arendelle in a Nordic country filled with mountains and fjords. Anna, Kristoff, Sven and Olaf must race to find the Snow Queen, (Anna's sister Elsa) before it is too late to save Arendelle from an eternal winter. Add this Anna decal to decorate the walls. 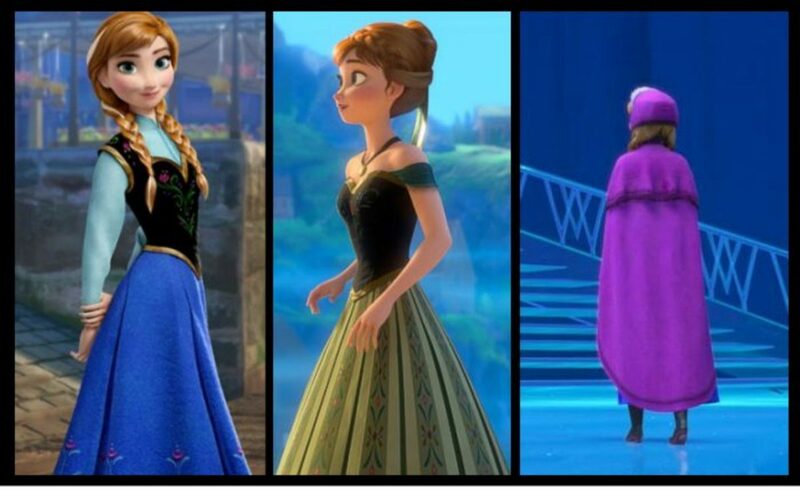 Which costume look of Anna's is your favorite? I like several of the costumes. In the Frozen trailer from disneyanimation, we hear a bit of "For the First Time in Forever" which is Anna's (Kristen Bell) song in the movie. Then go with Beyond the Trailer for a behind the scenes of Disney's 53rd animated feature film, Frozen. Anna's woolen blue dress with raspberry cape/cloak combines Nordic patterns, fabrics and designs to create a look that is both ethnic and practical. With her warm cape/cloak and boots on, her outfit could be considered her winter or adventure attire. Anna's main outfit the one she wears through much of the movie features several different elements with a dress, cape and boots. With her warm cape/cloak and boots on, this outfit could be considered her winter or (adventure) attire. Her blue dress is more of a jumper with a black top and blue skirt worn over a pale blue blouse. The dress part of her outfit could also be recreated as a black vest (with back opening) over a royal blue skirt. Both the top bodice and the bottom skirt are embroidered or embellished with Nordic-inspired floral designs. Her raspberry colored cape/cloak is not only a beautiful vibrant color, but it is a very creative (and functional design). The double layering of the cape over the cloak on top would help provide additional warmth when walking in the winter snow. 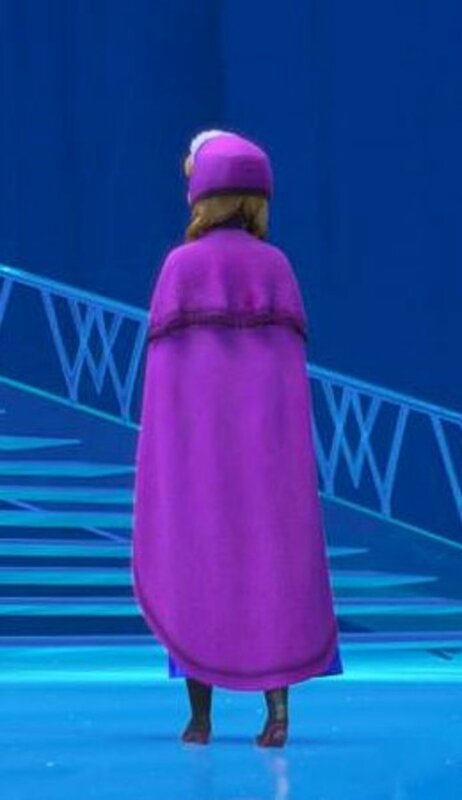 While traveling Anna also wears a raspberry colored fur lined hat seen in the cartoon and concept art images above. The back can be seen in the image of the back of her cloak below. The hat looks a bit like a Dutch hat pattern, only with fur lining which might explain how it somehow stays on her head without any apparent ties. Simplicity 4316 has several fur lining caps that could be modified into a headpiece for Anna using elements of hat "G" and "H."
McCall's has a pattern for Anna's dress and cloak that is sized for children, teens and women. The pattern is listed as MP381 and M700. Check to see if you are getting the children's or the adult's pattern, since they come separately. The top or bodice of the jumper is in dark velvet or velveteen (either black or a very dark forest green) in a form fitting style. There is probably a zipper down the back of the jumper. The fitted bodice of Anna's blue dress has lots of Nordic inspired embroidery with tulip designs, swirls, dots and curled leaves. The styling looks a bit like Northern German designs, Norwegian and Swedish all combined into one. If embroidery is too challenging, fabric paint with a steady hand is a faster alternative to create the Nordic designs. Double sided goldenrod-colored biased tape is used to edge the top of the bodice at the sleeve openings, the neckline and to attach it to the blue skirt. You can also see the details, or in this case the simplicity of her light blue blouse with high mandarin collar. There is just a bit of decorative stitching along the top of the collar and the front of the blouse. While it isn't a fabric that I would normally think to use, the light blue flannel is a great match to her blouse. Realistically in a cold northern climate, the flannel would come in very handy. Butterick pattern 4294 shows the high collar and the blue color. The sleeves for this jacket pattern just need to be narrowed down to a wrist-width sleeve. You could add in a button in the seam line to make the sleeve opening a bit larger so it easily goes over the wrist. Anna's skirt can be made from a cobalt or royal blue felt and embellished with embroidery or with fabric paints. Vogue's easy long skirt pattern V8287 is a good pattern to recreate Anna's blue skirt with front and back pleats. You could also use a full circle pattern, if you want to create an even fuller skirt. The flower patterns go around the entire bottom of her skirt ~ 12 times. If you look at the skirt in different versions you can view 6 flowers in the cartoon version and hints of 6 in the animated version. Fashioning a stencil with the flowers and swirls and using fabric paints might be the easiest way to create the standard look to the flowers and swirl designs. I've included a couple of videos on how to make a stencil from paper and then use the stencil on fabric to get you started. Dimension fabric paints may help to recreate the look of embroidery, over using just flat paint. The bottom scalloping effect can be done using a stencil and lighter blue fabric paints. Helpful video tutorials to get you started stenciling on fabric from Rice Freeman-Zachery, plaidcrafts and how to make freezer paper stencils from craftser. 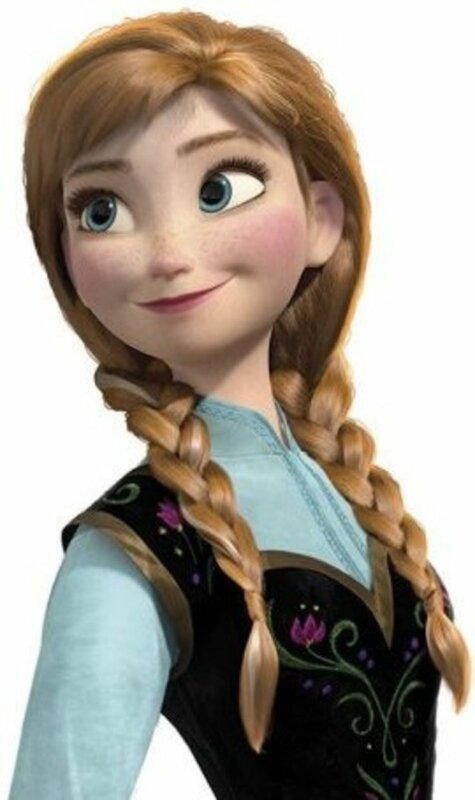 Anna's main hair is pretty simple, just two side braids created in long strawberry blonde hair or more reddish hued depending on the version (the live Princess version and the Disney wigs). The braids (according to my daughters) are Dutch braids, or underhand braiding, where the braid strands are brought under each other when doing the braiding instead of the more traditional overhand style. Anna is also wearing short bangs. She also has one white streak on the right side from when her hair changes color in the film. If you don't have the long dark blonde hair, then a long wig will work too (as it is in the Disney Live Princess versions). Braid this wig into two long braids for an Anna look. 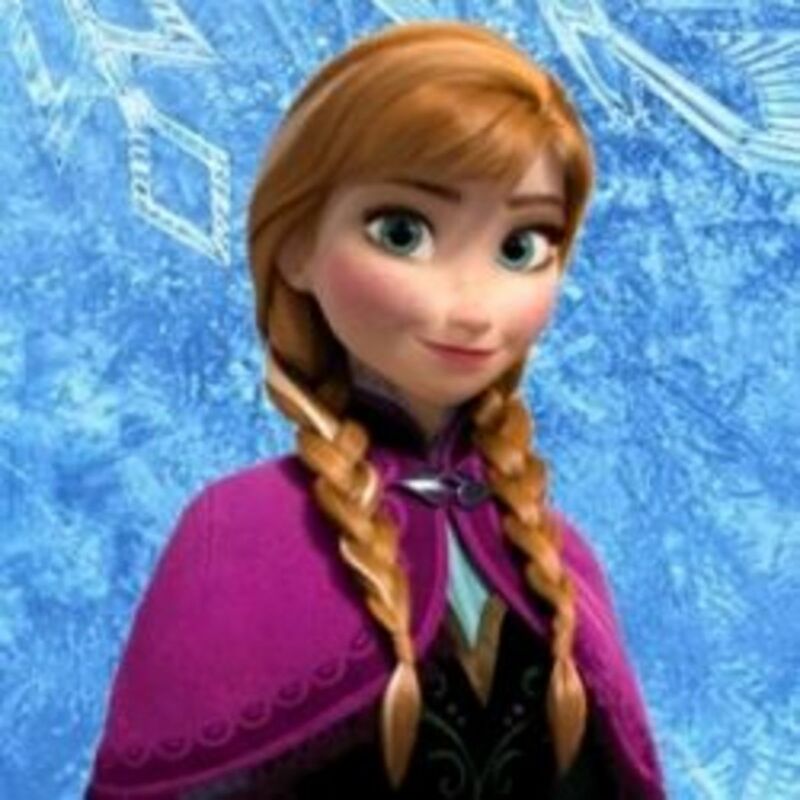 Add a white streak on the right side to look even more like Anna. Tutorials for Anna's makeup and hair from missglamorazzi, supereilonwypevensie and one in Italian from fannysdiary. Skip to 1:18 for the start of Anna's tutorial. Makeup artist and blogger Tal Peleg designed some amazing eye art looks inspired by Princess Anna and Elsa from Frozen. Where Nail Art once reigned supreme over our Instagram and Twitter feeds, 2014 could well be the year of Eye Art. Israeli make-up blogger Tal Peleg paints intricate designs onto the eyelids - and is set to make eye art as big as nail art. Tal Peleg, Passionate makeup artist, designer and blogger. Anna's black boots look to be more of a retro styling or one that might have been popular around the turn of the 19th century like Victorian styled boots (minus the laces). Anna's boots are more practical for everyday trampling around in the snow although even her boots look like they would be pretty cold. I hope she is wearing woolen socks. Her black leather boots are mid calf length with a substantial two inch heel. The underside of the boots and the heels have been left in brown. The gold decorative detailing on her boots were likely done as embroidery. The pattern is the Nordic swirling seen in her bodice. The simplest way to recreate the boots get a pair of mid-calf boots or even some of the costume boot toppers and draw on the embroidery swirls with fabric paint. You could also get a pair of pre-done Embroidered Black Boots like the ones below. 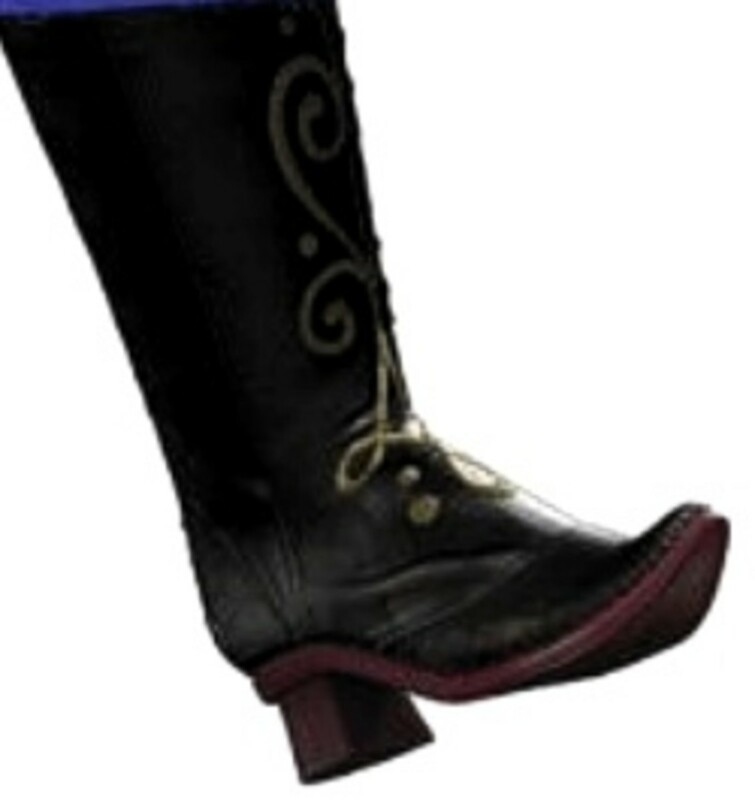 These Durango black boots are more of a Western styling, but they do have the embroidered detailing which is similar to those on Anna's black boots (although it slightly different locations). Anna's Cloak / Cape looks slightly different depending on the images and versions viewed. In looking for fabrics ones that I could find that were close in color (in felt) went by the names of fuchsia, raspberry, burgundy, plum, maroon, dark red, cherry or orchid. The best color of felt match that I could see was plum. It is more likely that her cape was made from wool a wool blend melton, but the colors that I could find were more in the magenta, burgundy or wine range than the more pinkish raspberry. From this view you can see the detailing of the upper cape with the high collar, decorative trim, pompom edging and hearts cloak clasp. The pompom edgings are stitched on most of the edge of the cape. The decorative details look a bit more challenging due to having to turn around the edges. They look to be done with a darker wine-colored stencil or with a steady hand in fabric paint. The lower cloak portion has the same decorative stencil edging with a decorative zig-zag stitch along the edging, probably to help stitch in the wine/burgundy colored cloak lining. Perhaps the easiest detail is attaching the heart cloak clasp (which the one from Amazon looks very close) to close up the cloak/cape. From this back view of Anna's Cape / Cloak you can see that there are two distinct layers to her winter garment, the upper cape layered over a lower long cloak. 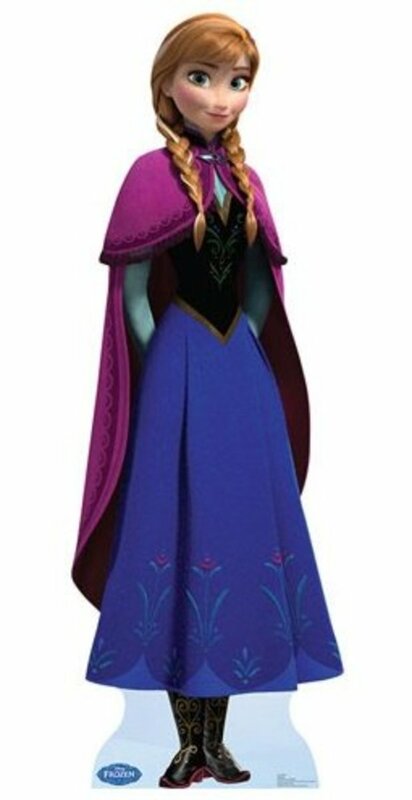 Instead of a hood, Anna's cape / cloak has a high collar, similar to the one worn in her light blue blouse. The Simplicity pattern 5795 version A has the two layers, but has a double caplet layer on top and the cloak is much fuller than Anna's cloak. 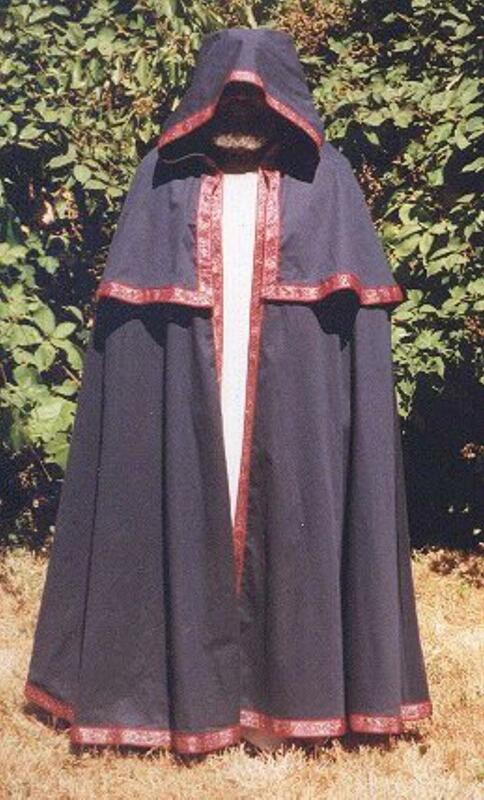 This Simplicity pattern (the best I could find) would need to be revised by making the long cloak narrower, taking out one of the top capes and the hood and adding in a high collar. From this view you can also see that the decorative pompom tape or ball fringe edges the entire top of the shorter cape. The color of the pom poms and edging looks to be somewhere between wine or burgundy. The purple pompom trim below looks like the best match with the plum colored felt. The burgundy version on eBay looks like a better match to the magenta colored wool melton fabric. Pattern, material and supplies for making Anna's cloak/cape. There is also a wine color felt that would work well for her cloak. Anna's classic green dress is the one worn for the coronation scenes. The details of the dress look a bit different in the movie animation, the book cartoon versions and in the interpretations for the dolls. The top or bodice of the dress is off the shoulder in dark velvet or velveteen (black, forest green) in a form fitting style. It has dark to a medium green fabric used for the small off the shoulder sleeves. This dress bodice similar to the one in the blue dress in fabric and in Nordic embellishments. These green, pink and gold swirling embellishments can be embroidered or more easily drawn in with fabric paint. The medium green organza fabric used for the off the shoulder sleeves looks to have a very dainty green lace edging along the bottom of the sleeve. The dark gold (goldenrod) colored double biased tape has been used to edge the top and the bottom of the bodice. 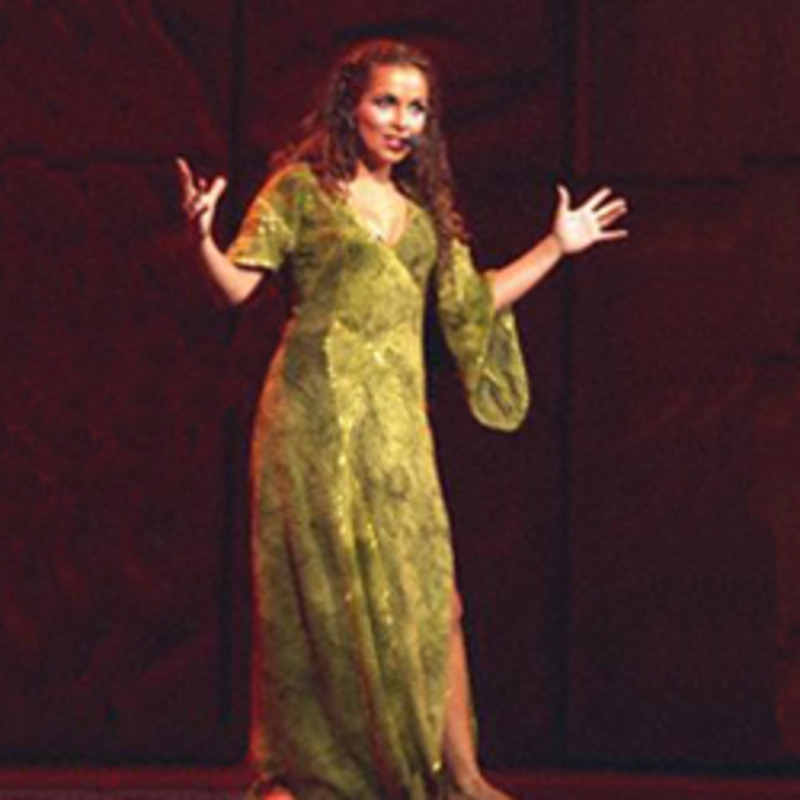 It has been challenging to find patterns that come close to her green dress. An off the shoulder prom or wedding dress would work for creating the bodice. Another option is modifying the top of the jumper dress McCalls M6396 or the Renaissance pattern from McCall's M4491. If you can't find a vintage skirt pattern with inverted pleats, one way to craft the dress would be to overlay the design sections on top of a basic green circle skirt. The basic long skirt pattern used for the blue dress above Vogue V8287 or Folkwear Pattern 209 with Walking Skirt would be a starting pattern for the skirt. Just add in more fullness to the bottom of the skirt (cut out with wider pieces at the bottom for more fullness). Finish off the look with a gold circle pendant on a wide black ribbon. 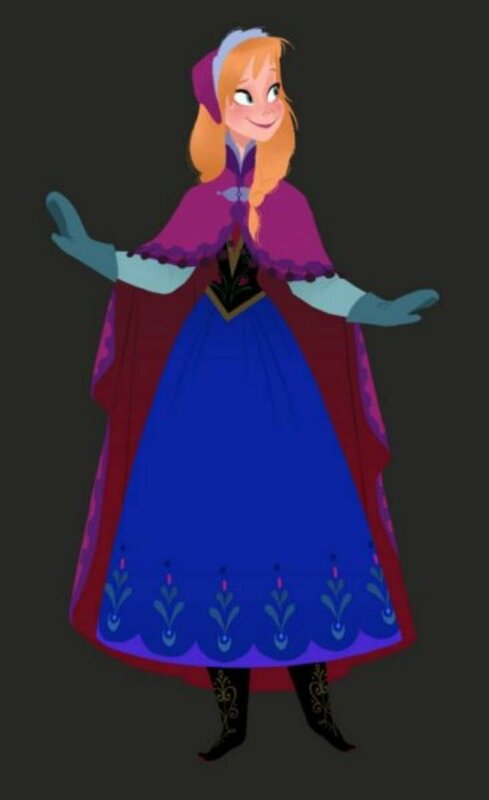 This color changing dress doll shows Anna in her coronation dress. Comes with a special want to reveal the print on the dress. A look at how to do Anna's up-do for the Coronation from Laura Chaffee and Disney Inspirations. 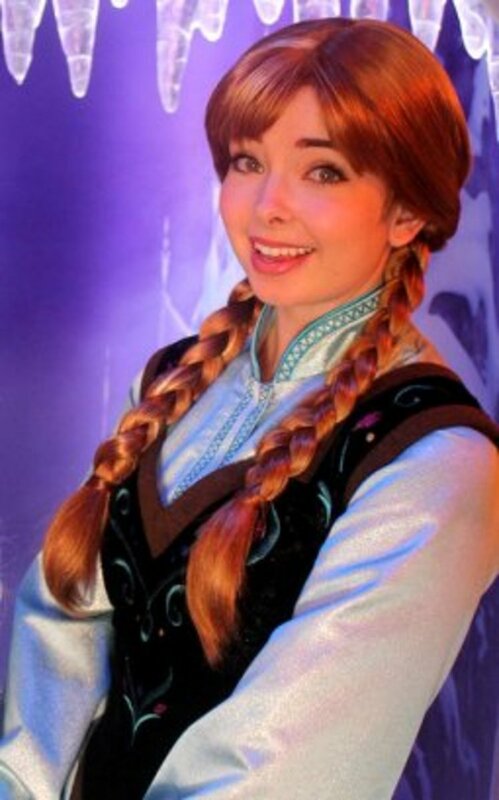 For the 2013 holiday season and before the premiere of Frozen, Anna and her sister Elsa have been added as meet and greet characters in Disneyland and in Disney World. The old Rapunzel area in Disneyland has been transformed into a Frozen winter wonderland, as part of the special area where guests can be photographed with the Arendelle sisters, Anna and Elsa. Olaf, the silly snowman sits atop the Frozen area greeting guests in Disneyland. He is also making an appearance as the host of a new World of Color show for California Adventures, titled "Winter Dreams." The Winter Dreams show is a trip around the world looking at winter holidays in different countries. Princess Anna from Maddy in Disneyland. Used under a Creative Commons License. For this Winter Disney's World of Color is getting an update as Winter Dreams. Frozen's silly snowman, Olaf is set to be the host. Imagineer Steven Davison has been giving us some amazing behind-the-scenes looks and sneak peeks at “World of Color – Winter Dreams,” opening this Friday at Disney California Adventure park. Happy Holidays! ‘World of Color – Winter Dreams’ is coming up faster than you can imagine. This new holiday water spectacular is going to be visually breathtaking! Photos of the Princess Anna sewing pattern created by Joy2sew. Pins from a progression of creating an Anna costume in several sizes by Joy2sew. I saw this girl at the Frozen pavilion looking at the displays, making sure her cosplay was correctly detailed. Adorable! She was a perfect “Anna” from her hair to the fringe on her cape! At D23 Expo costumes of Anna and Elsa from Disney's Frozen. Amazing cosplay costumes of Anna and Elsa at the D23 Expo Disney. These amazing Frozen Paper Dolls come from Paper Dolls by Cory. 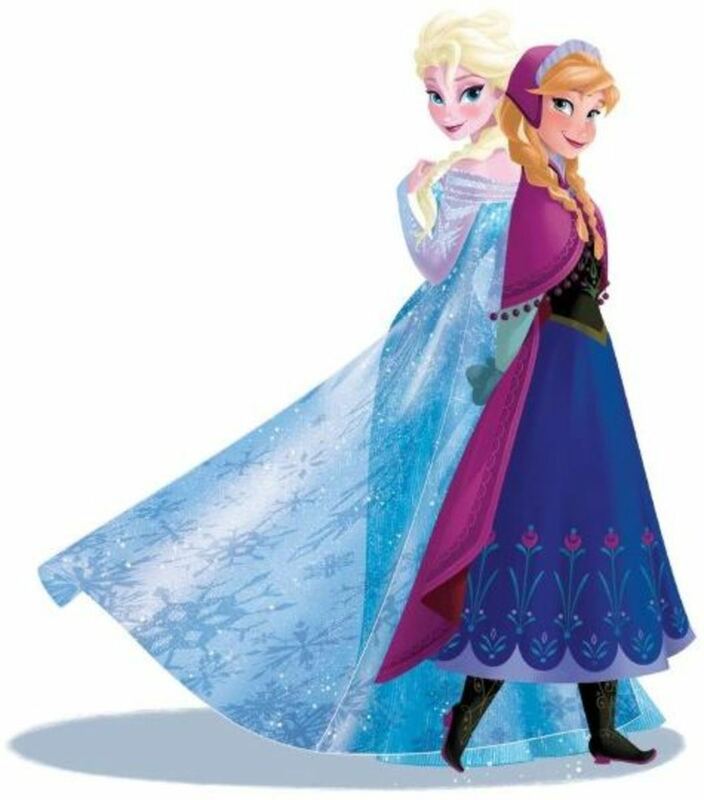 They are another way to get an idea for detailing the different dresses worn by Anna and her sister Elsa. You may have to be logged into Facebook to see the dolls. A set of paper dolls inspired by "Frozen," Walt Disney Animation Studios animated feature staring Idina Menzel as Elsa, and Kristen Bell as Anna. Welcome to my world of paper dolls! For little (and not so little) girls who enjoy playing 'dress up' with this magnetic playset, you can easily change Anna's clothes between her many fun costumes from the movie including her blue dress, her coronation dress and a few more. 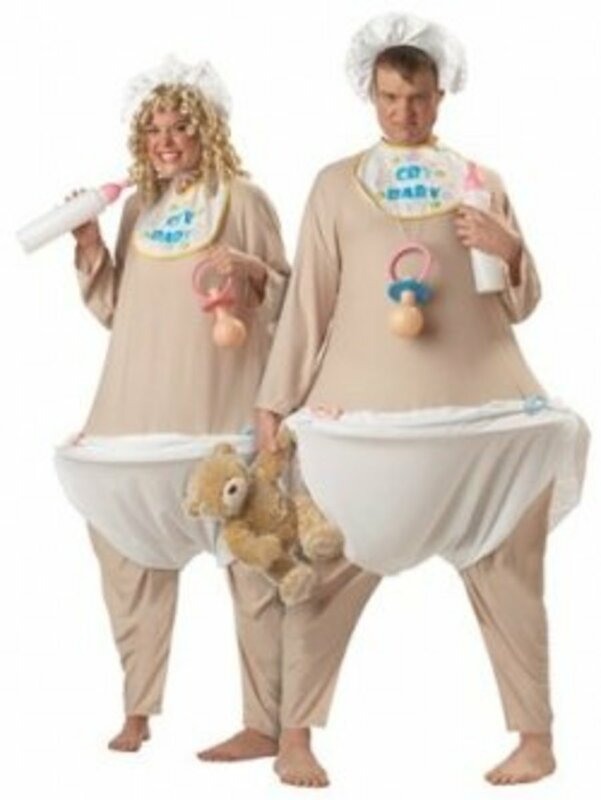 For now, the only official Disney costume comes only for children. 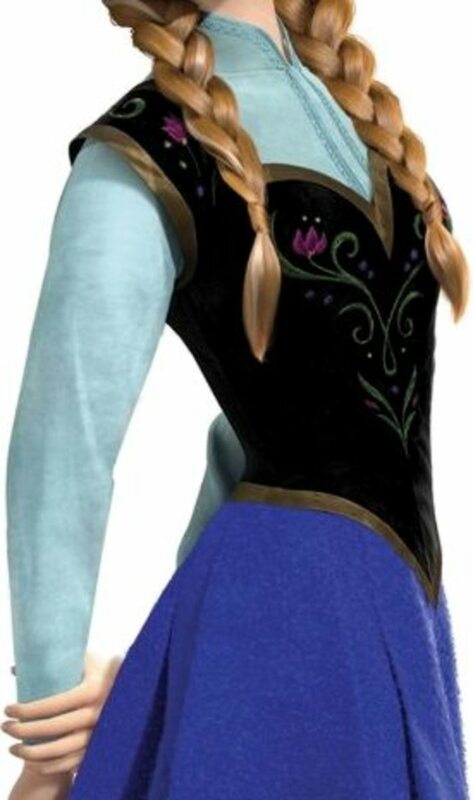 This Deluxe Anna costume is an official Disney licensed costume for the movie Frozen. The costume comes with the dark blue dress, vest, top and petticoat. Shoes and stockings are not included with the costume. You can find Anna costumes (for children) on eBay. Anna and Elsa Dolls can be found on eBay. To get even more official information about Frozen you can visit their website, Facebook Account and follow Disney Animation on Twitter. 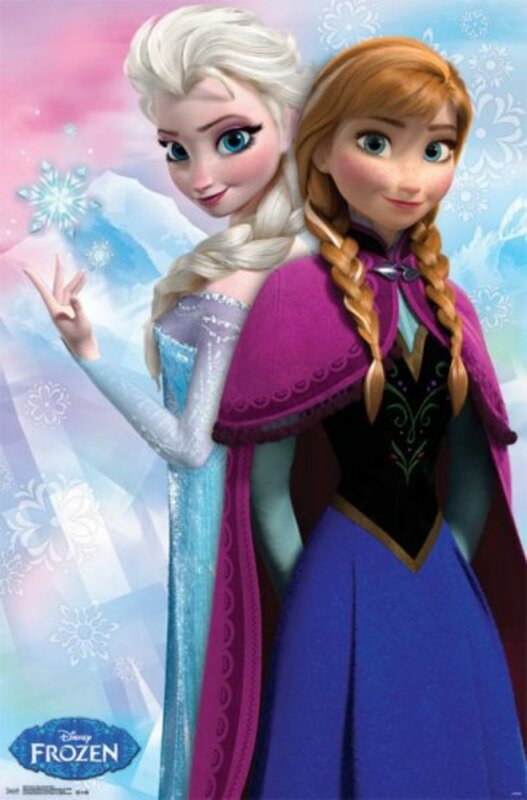 Read about the story for Disney Frozen. The latest tweets from Disney Animation (@DisneyAnimation). Will you be watching Disney's new Frozen movie? 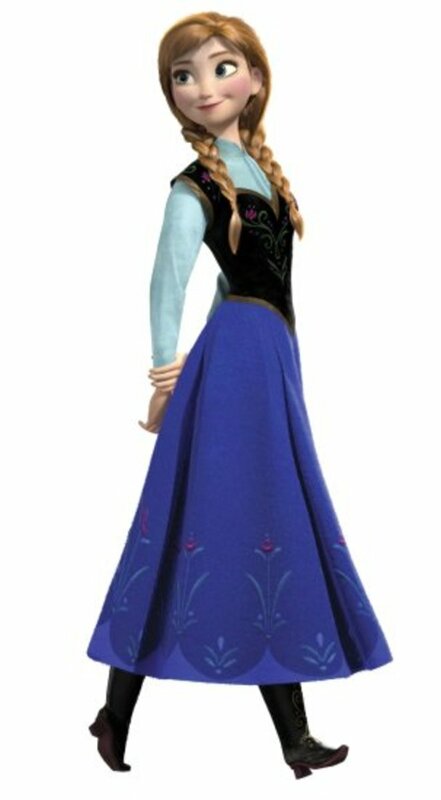 Hi, just wondering if you could do a break down of Anna's dress in the epilogue. These are amazing and I will be looking to this page when I make her dresses. 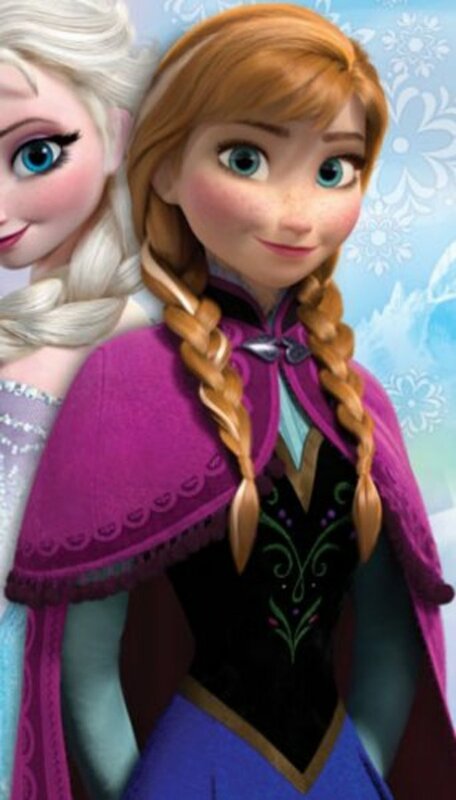 I'm sure that Disney's Anna is going to be one of the HOTTEST costumes this Halloween. This was amazing. 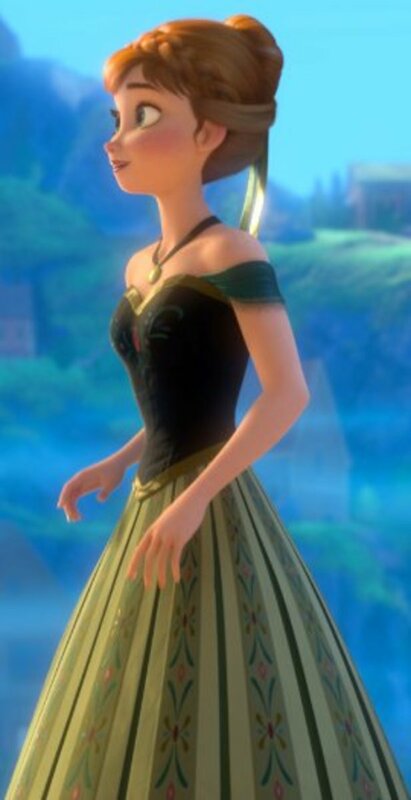 I know that there really isn't many pictures to go by but would you be able to do a break-down for her traditional wear (or the dress she wears when kissed by Kristoff)? It looks more basic in design so I was wondering if you could at least give some ideas as to which pattern to look for? Amazing! The best tutorial/break-down of Anna's dress I've seen. 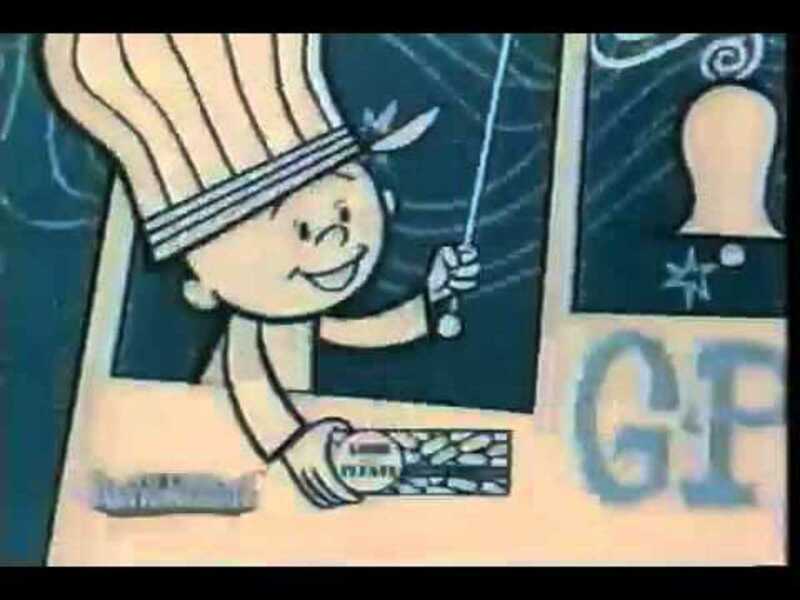 Now I really wanna make this.